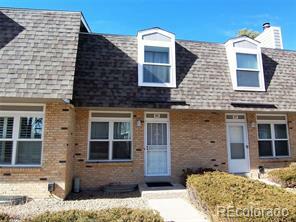 Great Lochwood townhome located near lakes and walking trails! Fantastic community w/ pool! New vinyl windows and new roof! Has a 2 car carport and a small fenced back patio area! The kitchen has been updated. The home needs new carpet and paint. Great floor plan with 2 big bedrooms upstairs and 1 bedroom finished in the basement that can also be a 2nd family room. Large storage area in the basement that a new homeowner could finish if desired. Close to schools and in walking distance to shopping, restaurants, and trails. Needs some TLC but has great bones. They sell fairly quickly. Listing Courtesy of TURNING POINT REAL ESTATE INC.